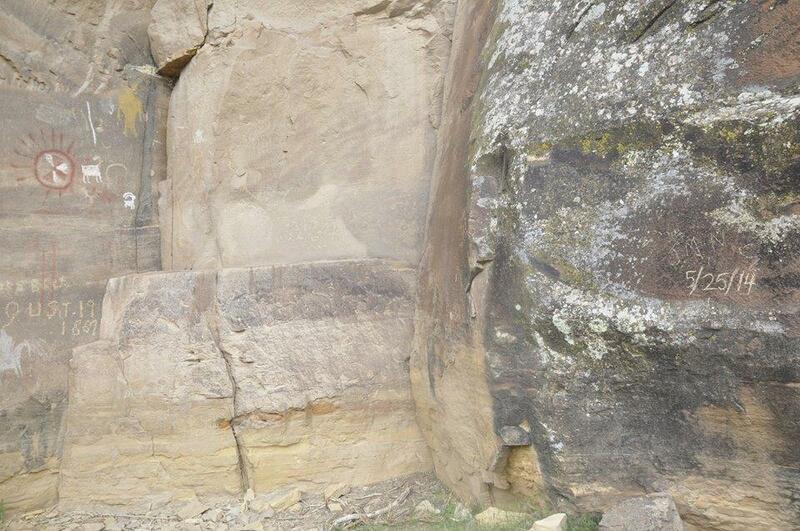 Vandals defaced rock art over the weekend in nine mile canyon near the Pregnant Buffalo site. “It’s located on the right side of a series of about 20-30 pre-historic images. They’ve made their inscription part of the pre-historic rock art images there,” says Spangler. Spangler says that two other land owners tracked down the vehicle license plate of the alleged suspects and turned that information over to the Bureau of Land Management. Megan Crandall is the spokeswoman for the BLM Utah office. She confirmed in an email to KUER that BLM law enforcement officials are actively investigating the incident. Jerry Spangler hopes something is done to prevent this kind of vandalism from happening in the future. “We’ve had a series of highly publicized events in recent months: the toppling of the Hoodoo, theft of the dinosaur tracks. This is just another example that yes we can do a lot with education, but we need a strong law enforcement presence. We’re hoping for a very strong response from the BLM,” says Spangler. Megan Crandall said in a statement that BLM officials don’t have a specific time frame tied to their investigation, but hope to complete it as soon as possible.